Fairbanks Foot and Ankle always appreciates feedback from our valued patients. To date, we’re thrilled to have collected 4 reviews with an average rating of 4.5 out of 5 stars. 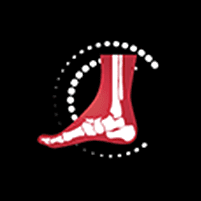 Please read what others are saying about Fairbanks Foot and Ankle below, and as always, we would love to collect your feedback. Dr Hubbard is the best!! Professional,courteous and down to earth. Highly recommend!! Dr. Hubbard was excellent and I am very confident moving forward that my ankle will be fixed. His knowledge and experience speaks for itself. Dr Hubbard and his staff have managed to provide excellent care combined with friendliness above the rest! My husband had a first visit with Dr. Hubbard, for foot pain. Dr. Hubbard was very compassionate, explained our options, was a very positive experience, and my husbands pain is dramatically reduced due to Dr Hubbard giving him an injection in the joint. Would highly recommend him to anyone seeking an experienced professional in foot care.